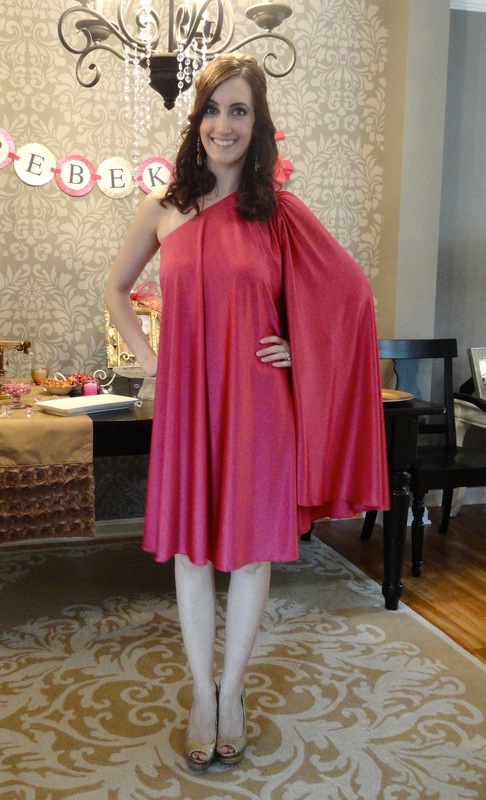 I wore this dress for my friend Rebekah's bachelorette party, which was last night! I have lots of other pictures to share from the night, so stay tuned for those too! 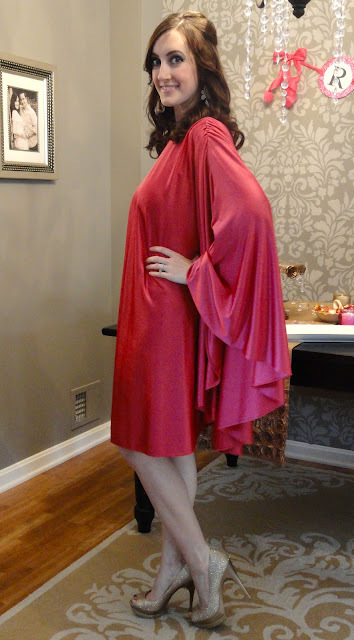 Dress: Halston Heritage Raspberry Poncho Dress via Rent the Runway. 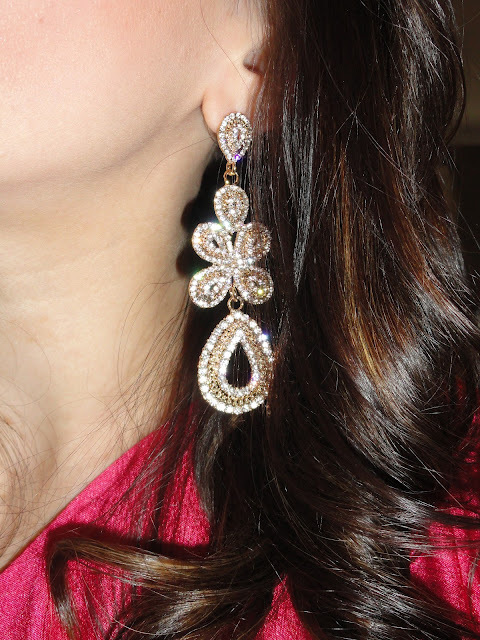 Earrings: Gift from my mom! 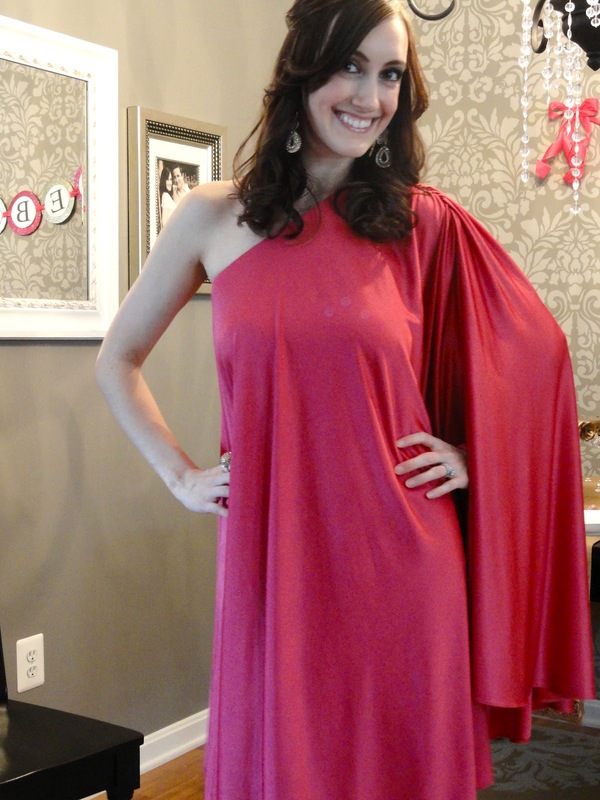 I plan on sharing my Rent the Runway experience with you in the next few days. Hope you enjoy the rest of the weekend!